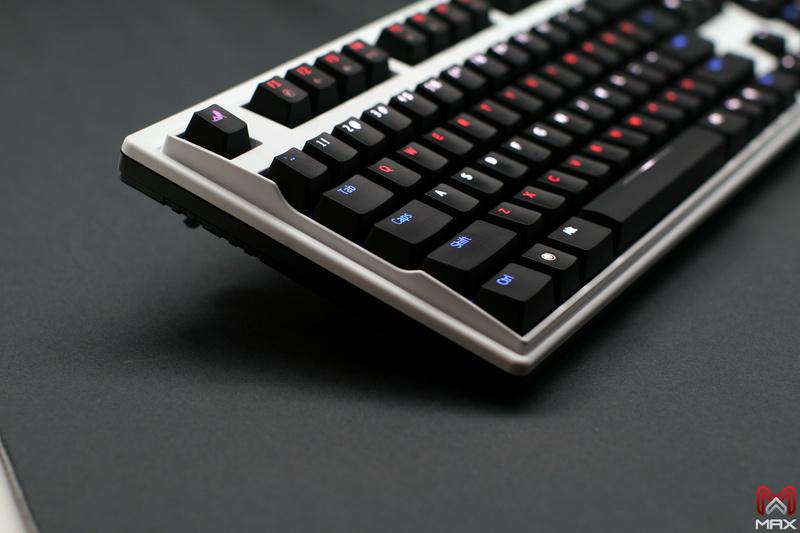 50g actuation force, give you the tactile and clicky noise when typed. 60g actuation force, no tactile bump when key actuates. Considered by some to be better for “gaming” than typing. 45g actuation force, no tactile bump when key actuates. Gives you the softer and lighter feeling. Great for spamming keys during game play. 45g actuation force, give you the tactile but no click noise when type. A very well balanced for gaming and typing.